Lorraine Kerubo Ogoti, 30, the Kenyan woman who died in an apartment building in Toronto, Canada in a suspected murder-suicide incident. A Kenyan woman, who has been living in Toronto, Canada, on Tuesday died under mysterious circumstances from fatal injuries in an eighth-floor unit of an apartment building. Police, who visited the scene, said they suspect the woman was stabbed by a man and died at the scene in what they described as a possible murder-suicide. 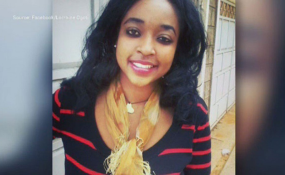 After receiving a 911 call to the victim's apartment building on Tuesday around 2:15pm, police and paramedics found 30-year-old Lorraine Kerubo Ogoti in a critical state but she died at the scene a while later. According other reports, a man suspected to have been involved in the incident, was found on the ground floor outside the apartment, also suffering from life-threatening injuries. He also died at the scene. An autopsy performed on Thursday found that the 40-year-old man, identified as Mowlid Hassan, died of blunt force trauma. Police in Toronto, who are investigating the incident, said they are not looking for other suspects, since they do not believe anyone else was involved. However, the police are yet to release more details about the circumstances of the homicide or the potential relationship between the man and woman.